The Government has published its response to the Business, Energy and Industrial Strategy (BEIS) Committee report into driving the EV transition which was published last October. The Government says "the UK’s low emission vehicle industry is a huge success story and a great source of strength in our economy. The Government wants to take advantage of the economic opportunities now emerging globally, as countries move towards a cleaner future for road transport". 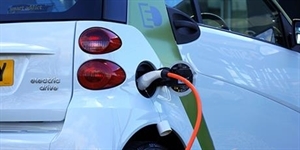 The Government's response says that it shares the Committee’s view that electric vehicles represent exciting opportunities for the UK as a tool to address greenhouse gas emissions, reduce air pollution, and as a new economic opportunity. The Government also agrees that the transition to electric vehicles will need to be led by industry and consumers, and that a shift away from internal combustion engines to zero emission vehicles is essential if the Government is to achieve UK carbon targets at least possible cost. The Government response refers to previously published strategies in this area ('The Road to Zero' and 'The Industrial Strategy'), pointing out that the market for electric vehicles in the UK is continuing to grow. The Government says it is committed to working in partnership, including with industry, local government and consumers to build on this and deliver the UK's long term ambitions. The BEIS Committee had criticised the Government for a lack of clarity around 2040 targets which feature in The Road to Zero Strategy and, in particular, for potentially enabling the ongoing sale of conventional (non plug-in hybrids). In response, the Government said that its focus is on "zero emissions capability rather than particular technologies like non-plug in and plug-in hybrid vehicles". It says: "The Government wants to see new cars and vans delivering as many zero emission miles as possible, as fast as possible" and that "the majority of new cars and vans sold will be 100% zero emission and all new cars and vans will have significant zero emission capability". "Meeting the 2040 ambition will mean that by 2050 almost every car and van in the UK will be zero emission. The 2050 target recognises that certain types of vehicles, including historic or vintage vehicles, may need special consideration". The Government response goes on to say that "the transition could conceivably happen much quicker than 2040 and the Government wants to set the right framework to encourage people to choose the cleanest vehicles. "A number of thought leaders think the point at which the up-front cost of an electric vehicle is the same as the up-front cost of a conventional vehicle could occur in the mid-2020s. This will be a key factor in the transition to electric vehicles." In response to criticism from the Committee over changes to the Plug-in Car Grant and other support mechanisms, the Government said it recognises that consumer incentives, in some form, will continue to play a role in driving uptake of electric cars beyond 2020. On criticism about the need for fiscal signals to send a clear and consistent message about the Government’s ambition to move to a zero emission vehicle fleet, the Government said it "aims to announce company car tax rates at least two years in advance of implementation to provide certainty to employers, employees and fleet operators. Unwinding previous announcements, or making changes to announced rates, could undermine this certainty". From 2020–21, the Government says that it will introduce five new bands for ultra low emission vehicles to distinguish between models with different plug-in hybrid technologies and improved battery range. This will focus incentives on the very cleanest cars that allow most journeys to be zero emissions. It says that "there is only limited evidence to suggest that the current company car tax rates are causing drivers to delay the decision to choose ultra low emission vehicles today". Responding to the Government, Rachel Reeves MP, Chair of the BEIS Committee, said:"The Government continues to fail to match its own rhetoric in encouraging people to switch to electric vehicles (EVs). The Government’s response to the BEIS Committee’s report highlights once again the lack of ambition and vagueness of the UK Government’s targets on zero-emissions vehicles. "If the Government is serious in its commitment to ensuring the UK is a world-leader in electric vehicles, then it needs to give a clear and unambiguous target to help industry and the consumer make the switch to EVs. To ensure the UK seizes the opportunities to develop a globally-competitive EV industry, and takes a lead on decarbonising our transport, the Government must come forward with a target of new sales of cars and vans to be truly zero emission by 2032. "It’s also vitally important that the Government comes forward with detailed policies and actions to help make electric vehicles an attractive option, not least by ensuring that consumers across the UK have access to convenient and reliable charging points for their EVs."